Welcome to the Jalopnik Weekend Motorsports Roundup, where we let you know what's going on in the world of racing, where you can see it, and talk about it all in one convenient place. Where else would you want to spend your weekend? While us Americans are looking for innovative ways to make sandwiches using leftover Thanksgiving food, the drivers and teams of Formula One are gearing up for the Brazilian Grand Prix as their racing season comes to a close. Will Sebastian Vettel take the driver's title, or will we see some kind of upset? 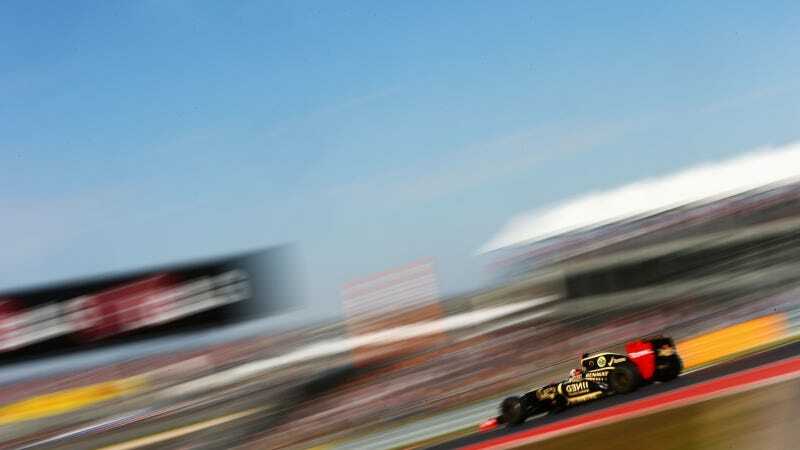 With NASCAR having wrapped up their season last week, we've got a bit of a lighter weekend of racing, but the F1 race promises to be plenty exciting. As always, let us know who you think will win, or if we missed anything, in the comments.